Whether you are looking for some extra storage space for your household items or a winter home for your boat and RV, River Road Boat Yard & Storage has the right space to meet your specific storage needs. If you’re looking for a storage facility in Ten Mile, TN, that offers convenient storage in a secure environment, we are the best choice in the state. Boat storage: Properly storing your boat will ensure that it will serve you season after season. That’s why we provide quality indoor storage and covered outdoor storage for your boat and other watercrafts. After a long winter, your items will look just as good as they did when you put them away—maybe even better! RV and vehicle storage: Cold, wind, water, and snow can really damage your RV or vehicle if left unprotected. River Road Boat Yard & Storage offers special, covered outdoor storage facilities in Ten Mile, TN to ensure that your RV and boat are protected and will be just as ready to get back on the road as you are. Personal storage units: Although we specialize in storing larger items, don’t think that’s all we do! River Road Boat Yard & Storage is the go-to place for storage in Ten Mile, TN. We offer both indoor and outdoor storage facilities in a variety of sizes, ranging from 5x10ft up to 12x36ft. Whether you are looking to store furniture, appliances or personal items, we’ve got the space to meet your needs. 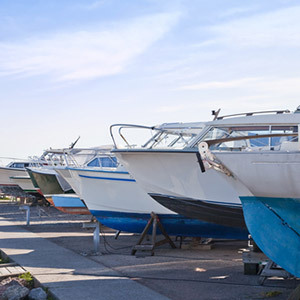 Safety and security: River Road Boat Yard & Storage is as serious about protecting your items as you are. That’s why we are dedicated to ensuring that our storage facilities are safe and secure. With an electric gate and well-lit facilities, we do everything we can to make sure your possessions are protected. If you want a covered outdoor storage space for an RV or a temporary home for your furniture while you move, River Road Boat Yard & Storage has you covered, literally. No matter the need, we have the facility to fit what you are looking for. Call us today and see for yourself why River Road Boat Yard & Storage is the most chosen facility for RV and boat storage in Ten Mile, TN. Boat Storage on Watts Bar Lake, Camper Storage, Self Storage Facility, Storage Unit Rentals, Affordable Storage, Boat Storage, RV Storage, Vehicle Storage, Monthly Storage, Furniture Storage and much more.